A few months ago, CD Baby president Brian Felsen interviewed me at the TAXI Road Rally. 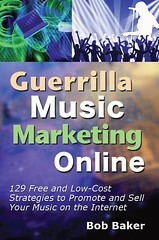 We covered a wide range of marketing and indie music career topics. Here's the full video interview. What do you think about the topics we covered? I welcome your comments!